Quickly attaches to the outlet of a standard nitrogen regulator. 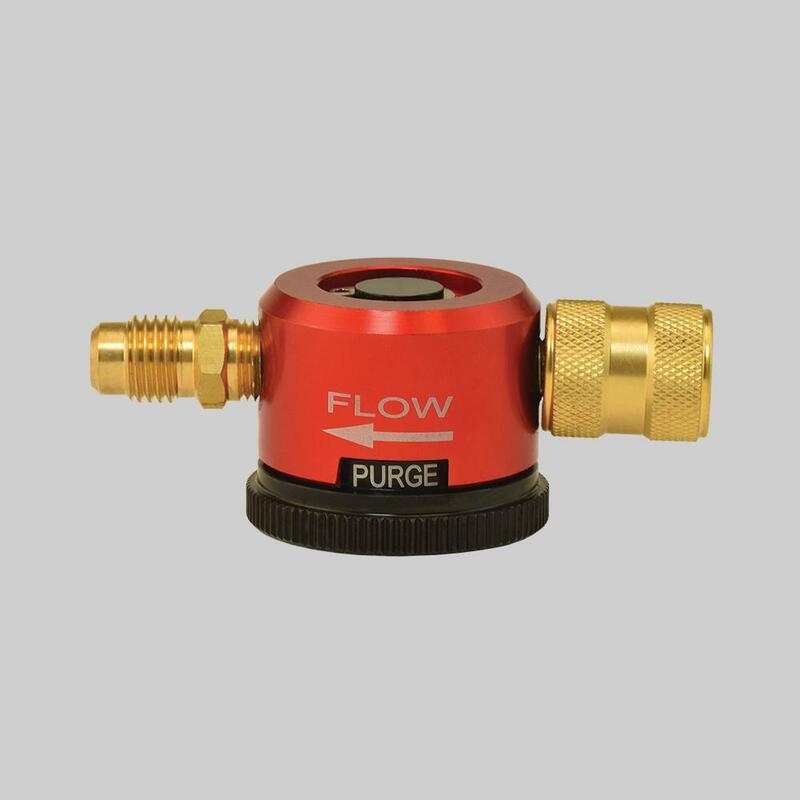 Set the purge tool to off, connect standard 1/4" refrigerant hoses to tool, and in seconds you are ready to purge and braze. The Nitrogen Purge Tool from DiversiTech has a quick and easy 3 click position dial. Quickly switch between Purge, Braze, and Off settings to get the correct amount of nitrogen flow for each one. 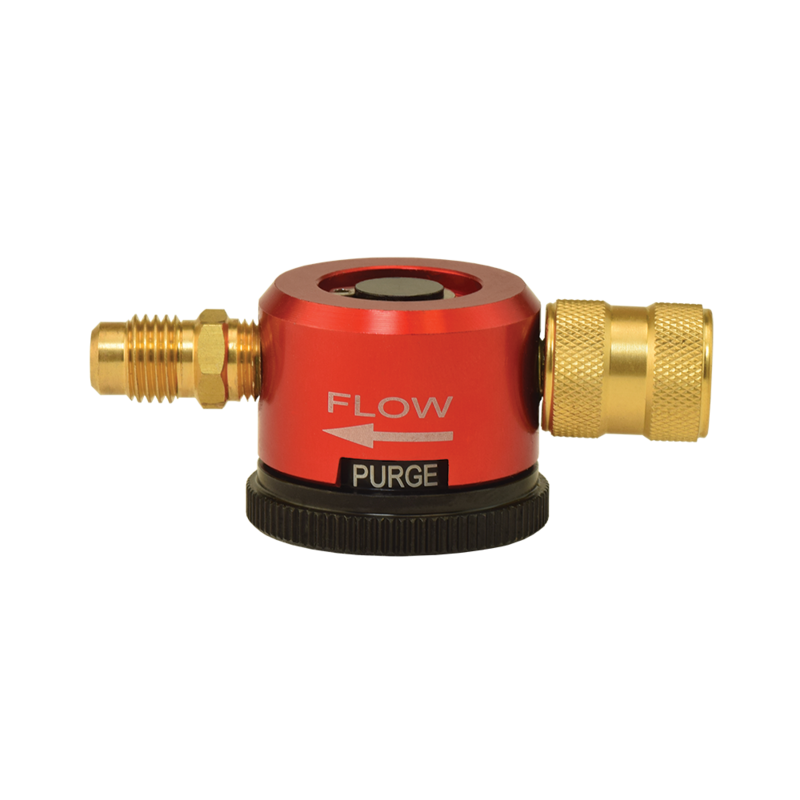 No fumbling with a flow indicator valve. Just click to purge or braze and you are good to go. Be sure you have the enough pressure to purge and braze properly. DiversiTech's Nitrogen Purge Tool is designed to operate with a 50psi inlet pressure. Maximum inlet pressure of 200psi. The nitrogen purge tool from DiversiTech is designed to be tough and durable. Throw it into your tool bag. It won't break like nitrogen flow meters.